A teacher and a student at Expeditionaries this past July. As the first article below suggests, changemaking depends not on ingenious ideas or personal charisma, but rather teachable skills and mindsets. "In my years of research on what makes a social startup successful, I poured over thousands of survey results and conducted hundreds of interviews with some of the top changemakers of our time. I kept expecting people to tell me that a truly remarkable idea or the charisma of the founder is what drives success, but no one did. Not one. This isn’t to say that factors like charisma and grit, along with a brilliant idea, don’t contribute significantly to success. Of course they do. But, I found that the strategies behind successful social change initiatives—things like innovation, fundraising, effective leadership, and measuring impact—are teachable. The problem is, we aren’t teaching them." Forming changemakers may be the central educational challenge and opportunity of our time. Early leaders of changemaking curriculum include Hillbrook (whose Scott Center for Social Entrepreneurship is cited in this article), Malvern Prep (who is currently building a Center for Social Impact), and Mount Vernon Presbyterian School (whose students recently designed a virtual reality exhibit for Atlanta's Center for Civil & Human Rights). And because shifting curriculum can feel risky and costly, Expeditionaries allows schools to experiment in a low risk / high reward way. Is your school willing to make the space necessary for new approaches that will form changemakers? When eBay launched, no one was teaching ecommerce strategies. When Myspace launched, no one was teaching social networking. When Apple first opened their App Store, no one was teaching smart phone app design. When Amazon first allowed online storefronts, no one was teaching the Amazon business model. When YouTube first offered ways to monetize videos, no one was teaching it." As Frey goes on to say, "It’s far easier to oversee a contained system where all variables are constrained. But during times of change, we tend to give far more power to the 'unleashers,' who are determined to test the status quo and release ideas and trial balloons to see what works." Organizations used to talk about "First Mover Advantage." In an Age of Accelerating Change, it may be more appropriate to think in terms of "The Iterator's Advantage." 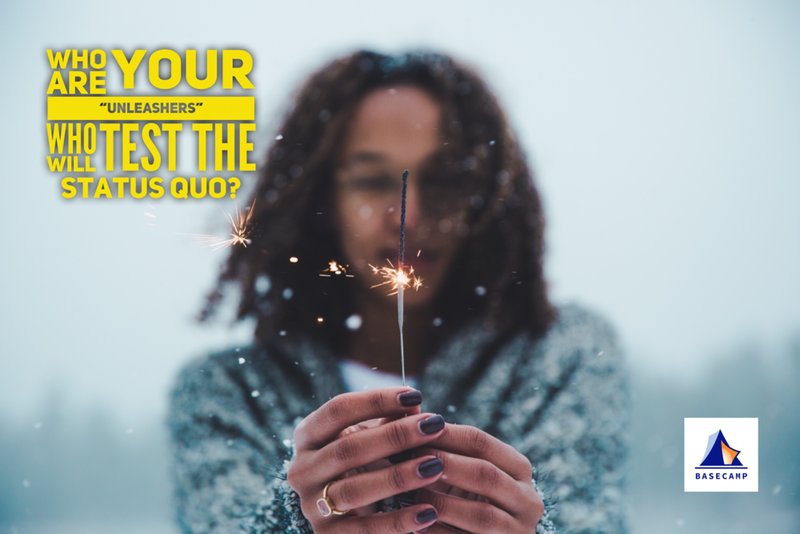 If your school isn't conducting and learning from experiments that challenge the status quo, you may lack the adaptive culture necessary for surviving constant change. “If what you've done is memorize information and spit it back on a test, you will be utterly unprepared for [our changing] world. In fact, our kids are going to have to work with knowledge that hasn't been discovered yet and technologies that haven't been invented yet, to solve big problems that we haven't been able to solve. They need work in school that allows them to take up a problem, figure out how to find the resources that will be needed to solve that problem, work with others to design a solution, test it, evaluate it, revise it, and be able to generate their own progress in learning." Inquiry > Answers. As Darling-Hammond says, "the curriculum has to be much more focused around [...] inquiry than simply reading the chapter and answering the questions at the end of the book." How to Learn > What to Learn: Teachers "need to understand the relationship, for example, between emotion and learning. You only really learn when you are excited or interested. There's a set of positive emotions; it might just be that you like your teachers. If you're fearful, if you think somebody is going to criticize you or stereotype you, you're going to learn less. All of that has to be understood by teachers." Assessment for learning > Assessment of learning: Given our century-long obsession with ranking and sorting students, this may be the hardest shift of all: "Teachers also need to know how to build a curriculum that gets kids from wherever they are to the curriculum goals we have for them. They need to understand assessment — how not only to give a test and give a grade … but also how to assess how kids are learning and then either reshape the teaching or help students revise their own work so that they can improve." Note: None of these principles is either / or. They are all both / and... while also clarifying the superior value.